This panel discusses political changes in African higher education. It looks at how universities and affiliated institutions react to the simultaneity of massive expansion, political rescaling, internationalization and decolonization on local, regional, national and international level. Higher Education stakeholders throughout the world, including national governments, funders, and administrators reimagine universities as institutions of salvation, capable of equalizing opportunities at the individual level, and addressing and solving all contemporary and future societal problems through the goal-oriented production of knowledge. Depending on the socio-economic context in which the university is embedded, the hopes placed on higher education institutions include the stimulation of innovation, economic well-being, solutions for climate change, as well as equality, peace and security. After decades of limited attention and severe budget cuts, universities in Africa are now also viewed as pivotal to social and economic development. The number of universities, students and border transcending academic activities is growing fast, raising political and economic interests at home and abroad. Actors from the global North re-evaluate conventional forms of academic cooperation while the global South sets entirely new agendas. Further propelled are changes by university rankings leading to an unprecedented exposure of individual universities and claims for decolonization under which the contemporary knowledge order is contested. 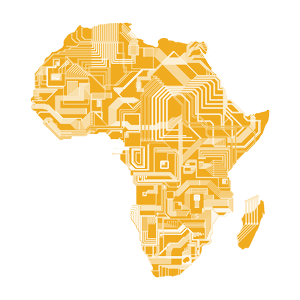 Universities in Africa are confronted with a simultaneity of massive expansion, political rescaling, internationalization and decolonization which creates enormous challenges but also opportunities. This panel invites contributions that show how universities and affiliated institutions react to the complex set of changes on local, regional, national and international level. A focus is laid on the political economy of higher education including the readjustment of aid and trade relations. There is momentum for profound institutional change in African universities which this panel seeks to explore.